Earth has had a variable magnetic field for at least 3.5 billion years. It is produced by convection currents of an electrically conducting iron-nickel alloy in the liquid core, about 3,000 kilometers below Earth's surface. It can be modified by emissions from the Sun, cosmic debris, and heat convection in the core of the planet. The Earth's magnetic field extends about 36,000 miles (58,000 km) into space. Generated from the spinning effect of the electrically conductive core, it acts like a giant electromagnet. In ancient times, the field was 20 times stronger. Movement of the liquid and the solid parts of the Earth's core generate an electric potential, making the planet an electric generator. Mankind is closely tied to Earth's geomagnetic fields (GMF) through quantum entanglement. Fields underlie extraordinary forms of communication such as telepathy. Even weak EM fields have a subtle but measurable impact on our emotional states. However, it is far more likely you will flip before the Earth does. We are complex electrodynamic creatures. We are sensitive to natural and artificial EM waves. When we went into space, we also learned that field deprivation led to undesirable psychophysical breakdown. Those fields had to be replaced artificially. Regular daily and monthly fluctuations in the GMF are affected by weather, the Moon and sunspots. The magnetosphere is a highly stable field constantly bombarded by energetically charged solar particles (solar wind). Solar storms, geomagnetic pulsation, and perturbed ambient EM field activity impact behavior in clinically significant ways, such as producing hallucinations. Neural entrainment confuses the brain into skewed perception it accepts as sensory information. Magnetic influences on the pineal hormone, melatonin are suggested as a possible source of variation. Research shows perturbations also affect the mind and heart, and slow reaction time, while increasing gastric distress, irritability and violence, even suicidal tendencies. Magnetic fields influence neural processes and can scramble the brain. Intense atmospheric charging coupled with earthquake precursor activity is suggested for anomalous effects on animals – even birds falling from the sky. Earth’s field fluctuates continually. We are conditioned by this environment in which we have grown, but what if its electromagnetic signature is changing? Is it protecting us like it used to? Geomagnetic storms disturb that magnetic field with gusts of solar wind and coronal mass ejections (CMEs). Charged particles emanate from solar flares and penetrate our atmosphere. Many think strange booming sounds heard around the globe come from solar flare induced core changes. During a geomagnetic storm the amount of charged solar material reaching the earth increases and the earth’s magnetic field is significantly perturbed. Northern Lights are one visible effect. Some research shows such turbulent field conditions reduce reports of telepathic experience, especially in dreams, like static on a radio. While susceptibility differs, solar bursts modulate mood and behavior and disrupt sleep and chemical processes in the body. Symptoms include headache, palpitations, mood swings, perceptual distortions, and feeling generally unwell. Chaotic or confused thinking and erratic behaviors also increase. Fluctuating geomagnetic effects blur the boundary of conscious and subconscious, by impairing the brain. In addition, Earth's geomagnetic field intensity is dropping slowly but steadily. At some time in the distant future, Earth’s internal nuclear dynamo will stop spinning, melting magma, creating the aura of Earth’s geomagnetic field, and turn cold. The atmosphere will be relentlessly stripped away by the force of the solar winds, until our planet becomes a gamma ray bombarded husk like Mars. But long before that happens there will be more cycles of normal reversals in the polarity of our magnetic field. As Earth’s local and global fields continue to weaken, can we expect more reports of strange psychophysical phenomena emerging at an increasing rate? Known effects of geomagnetic pulsation include synesthesia, anomalous cognition and lucid dreams, psi events, and paranormal phenomena as well as heart attack, depression and suicidal tendencies. We simply don’t know how to screen ourselves from such phenomena. Fluctuating geomagnetic effects can lead to increased liminality and anomalous experiences by perturbing mind and body. Field effects include hallucinations and temporal lobe microseizures, as described by Krippner and Persinger. Threshold states blur the boundaries of reality and imagination. People feel confused, betwixt and between, have mystical and paranormal experiences and odd visions. Tiny field fluctuations can have dramatic effects. Some are sudden and unexpected. If the geomagnetic field (GMF) should destabilize, scientists tell us magnetic fields of flux both entering and flowing from the Earth would become much more randomized. Earth could have a few poles for a while. That is not to say it will happen in our lifetimes, but that it can happen and surely will at some indefinite point in the future. Tectonic activity “lensing” and concentrating of Earth’s magnetic field definitely has biological effects. Can ambient magnetic fields lead to disregulation of the mindbody creating magnetic hallucinations? Is our sanity, as well as our satellites, at risk as the Earth’s field fluctuates more and more? Is Earth driving us crazy? Pioneering biophysics work has shown that DNA and living tissues interact with electric and magnetic fields in unexpected and dramatic ways. Living organisms are not only information detectors and generators, but is also transformers of electromagnetic energy. A wide spectrum of genetic mechanisms are under the influence of surrounding electromagnetic fields. The GMF is influenced by currents in the mantle on a time scale of tens to hundreds of millions of years. Temperature patterns within the lower mantle influence both the stability and intensity of the field. Massive changes in or on the Earth, including extinction events, follow a 26.6 million to 30 million year cycle over the last 250 million years. The solar system crosses the relatively dense galactic plane every 30 million years. GMFs are implicated in some mass extinction events. Unexpected escalation of climate change demonstrates that perturbing natural cycles can lead to cascades of cataclysmic change related by complex dynamics. Our climate is degrading much faster than most of us thought. One small change can disrupt a system already in motion, ultimately leading to cataclysmic results. As early as 1906, changes in the magnetization of some rocks opposite to that of the present day made it clear that some time ago it was different from the modern time. But, long before pole reversal -- or more accurately, geomagnetic reversal -- we could expect escalating experiential effects, based on effects we see during solar storms. All kinds of mental and physical phenomena might fluctuate long before any ‘tipping point’. 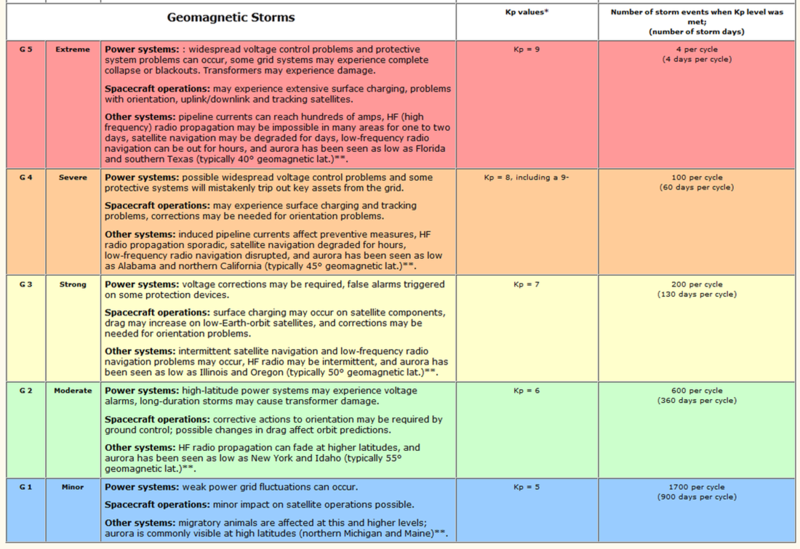 Ecological cataclysm looms (Lovelock, 2009) and geomagnetic cataclysm is also a possibility. The Sun is also heating the interior of the earth, which increases volcanism and tectonic plate shift. It is heating the whole solar system. Many land and underwater volcanoes are located on or near subduction zones, rifts, and trenches, associated with an increase of mantle plumes -- core heat rising to the surface. Large mantle plumes build islands, even continents. The land is built, stretched and destroyed on volcanic rift margins. Geomagnetic reversal is chaotic in nature. There is no way we can predict it. Polarity reversal is connected heat convection in the mantle. The latest theory is that changes in heat flow from the Earth’s core into the base of the overlying mantle leads to pole shifts. Heat-loss in the core-mantle boundary drives the reversal. The mantle exerts a reciprocal control on the core. Pole flip starts with short distance wandering of the north pole, to the extreme where magnetic north dips below the equator, ending in full magnetic reversal. Dr. Andrew Biggin suspects that True Polar Wander changes the pattern of heat flowing out of the core. TPW is caused by the changing density distribution in the mantle. It changes the pattern of heat flowing out of the core causing the magnetic field to first become less stable, with lots of reversals, and then become much more stable – and stop reversing. It stabilizes when there are less magma outpourings from the core. The goal of geomorphology is to anticipate and mitigate effects on humanity and the biosphere. We are challenged not by single alterations but a complex of unstable systems. This is not to say, “The End is coming,” but to identify phenomena, which might arise along the way to major earth changes. Geomorphological systems have both deterministic (universal and necessary) and probabilistic (historical happenstance) elements. They are difficult to predict having different processes with varying degrees of susceptibility to change induced by fluctuations. They respond differently to local, regional, and global fluctuation. GMF is one of these parameters. The magnetic field occasionally flips over in its normal cycle. Reversals are random events. But they are preceded by marked field fluctuations such as the South Atlantic Anomaly (magnetic field intensity 60% of predicted value). In the last two hundred years, Earth's magnetic field decreased 10% in intensity. The South Atlantic Anomaly (SSA) is above South America, about 200 - 300 kilometers off the coast of Brazil, extending over much of South America and the nearby portion of the Van Allen Belt. It is a weak spot in the GMF, Earth’s protective bubble. The envelope here is 1/3 of normal. As this field continues to weaken, the inner Van Allen belt gets closer to the Earth and proton bombardment increases. There is an increased flux in this region. The last major reversal in the field took place about 780,000 years ago. A flip in the north and south poles typically involves a weakening in the magnetic field, followed by a period of rapid recovery and reorganization of opposite polarity. Some studies in recent years have suggested the next reversal might be imminent, but the jury is still out. Weakening of Earth's overall magnetic field by10 percent over the past 150 years might also point to an upcoming field reversal. But it only happens about once in a million years. When the sun reaches deep into the earth, it "talks" to her and modifies the generator within her. The ionosphere is one poorly understood channel. The sun interacts magnetically with the solid Earth, reaching down into the crust, generating forces that can trigger earthquakes that either rupture or slide. Earth itself acts as a magnet. Minerals in the earth’s crust contain dormant electronic charge carriers. They act like electronic crystals when energized. Squeezing, heating or stressing such rocks activates them so they can travel through the earth for kilometers changing conductivity, generating Lorenz force interacting with tectonic force vectors, pushing the system over the edge. Rapid magnetic field variations lead to ULF emissions. They ionize the plasma in the atmosphere, measurably perturbing the ionosphere, the coupling mechanism. Earth constantly generates ULF emissions. Life evolved in this ULF field. The fundamental Schumann Resonance is a standing wave in the atmosphere around 8 Hz. The human brain emits frequencies in the same region. Up to 12-14 days before a quake, broadband ULF emissions before major earthquakes can swamp the whole ULF spectrum, affecting the brains and circadian rhythms of animals and humans. Currents may be higher in highly mineralized areas with crystalline basement rock, such as Sedona. Stressed rocks are active charge carriers which turns them into batteries. The driving force is deep magma and tectonic strain. Electric currents, up to millions of amperes, start to flow like in a semiconductor battery, perturbing earthquakes. Currents up to millions of amperes flow along stress gradients, fluctuating and emitting EM radiation. Therefore, Earth emits powerful broadband EM waves prior to quakes, in microhertz to about 20 hz. extremely low frequencies (ULF). Paleomagnetic records show that the dipole polarity of the geomagnetic field reversed many times in the past. 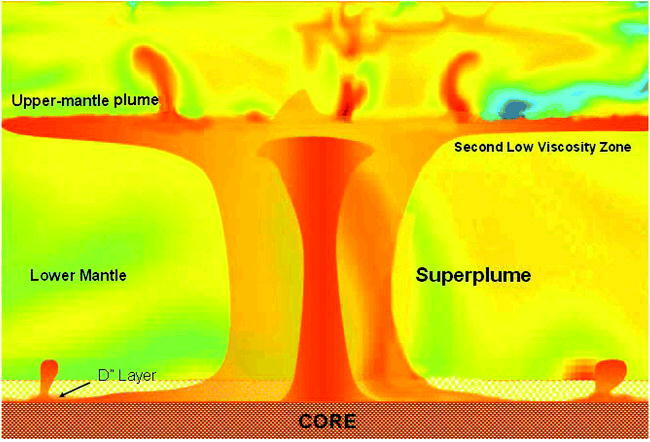 Convection in the fluid outer core is continually trying to reverse the field. However, the solid inner core inhibits magnetic reversals because the field in the inner core can only change on the much longer time scale of diffusion. Only once in many attempts is a reversal successful. This is probably the reason the times between reversals of the Earth's field are long and randomly distributed. Scientists from the Institute for Geomagnetism at the Russian Academy of Sciences say the magnet poles are gradually drifting towards the Equator, reaching zero point in about 2,000 years, which would be a disaster for living organisms. The rate of change in the planet's liquid core, however, means that the shift could happen much sooner. In 2001, an international polar expedition revealed that in the recent seven years the North magnetic pole shifted around 300 km (186.4 miles). Currently, it is drifting 40 km (24.85 miles) a year from the Canadian Arctic shelf towards Russia's Severnaya Zemlya Islands. Scientists predict the North Pole could eventually be found in South Atlantic. Russian scientists say dangers include anti-radiation protection falling, with space flights becoming impossible and energy-dependent systems, including mobile phones and satellites, failing. Then, solar and space radiation would affect the genome of the organisms inhabiting the Earth, causing some of them to become extinct, while others mutate at a higher rate. With extremely powerful electrojet currents, life may become impossible on Earth before the full magnetic field collapses. In the last 90 million years, the magnetic poles changed around every 500,000 years, with no total extinction or mass genetic mutations of living organisms taking place. The atmosphere remained a reliable steward of Earth's biosphere. We know about pole shift from examination of the geological record. Valkovic links massive faunal extinctions with polarity reversals in earth’s geomagnetic field. He assumed that the concentration factor for essential trace elements is dependent on the GMF. The geomagnetic poles are currently roughly coincident with the geographic poles, because the rotation of the Earth is an important dynamical force in the core, where the main part of the field is generated. Occasionally, however, the variation becomes sufficiently large so the magnetic poles wander distantly from the geographic poles, an ‘excursion’ from their preferred state. The dynamo has no preference for a particular polarity. Therefore, after a period of enhanced variation, the magnetic field returns to its usual state of rough alignment with the Earth’s rotational axis. The timings of reversals forms the so-called 'geomagnetic polarity timescale'. During a reversal the geometry of the magnetic field is much more complicated than it is now, and a compass could point in almost any direction depending on one’s location on the Earth and the exact form of the mid-transitional magnetic field. We know that the iron core of our earth vibrates at 40 Hertz (40 pulses per second). The crust has a different vibrational speed at around 7.5 Hertz. When we are at the height of our brain activity we record roughly 40 Hertz and a 7.5 Hertz low brain activity. Alpha brainwaves correlate with earth’s core environment. The outer crust environment pulse rate matches low end Theta brain function. Rhythmically changing electric, magnetic and electromagnetic fields are ubiquitous in our environment. Persinger links GMF field disturbances with the onset of a variety of disorders, including heart attacks, increased blood pressure, seizures and strokes. Also, decreases in nocturnal melatonin, enhanced anxiety, heart rate, sleep disturbance, psychiatric admissions, light sensitivity, SIDS, depression, suicide and sudden death. He also showed electromagnetic fields can trigger mini-seizures. Abnormalities in the temporal lobes (TLE) caused by genetics, injury, or infections can lead to amplification of "spiritual" characteristics in the personality. Some people are predisposed to psychism, mystical visions, or religious zeal. “Seekers” report intensely personal, even idiosyncratic relationship with gods or demons, aliens or nature spirits. Are we hardwired for religious beliefs? Or do some of us just have more magnetite in our bodies? Temporal lobe seizures mimic or perhaps even embody certain essentially religious experiences. This tendency may be reinforced by a kindling process activating pathways to the amygdala and other parts of the brain. Emotional tone and multisensory content of these experiences is dependent on which lobe and portion of the temporal lobes become unstable and subject to seizures. The phenomena which appear pathologically in TLE can also appear in the general population, and are often even encouraged by the practice of meditation. The union of brain science and theology is called neurotheology, which studies all related religious and spiritual phenomena and their neurological roots. We might also look to the magnetic environment for subtle triggers. With strong enough magnetic force, TLTs can be kindled in normal individuals. The electrically unstable temporal lobes are quite sensitive to extremely low magnetic frequencies. Persinger has tickled the temporal lobes of enough individuals to define the parameters of electromagnetic shifts on brain function. There is a continuum of temporal lobe sensitivity, and even normal individuals have sub-clinical microseizures frequently, particularly during REM or dreams. The full-blown effects of such electrical storms are seen in petit mal and grand mal seizures of epilepsy. We live in a dense soup of natural and artificial magnetic fields induced by electric charges moving through electric fields. Each event we experience as humans is centered in its own electromagnetic field. Psi phenomena [healing, telepathy, clairvoyance, precognition, remote viewing, psychokinesis, poltergeists, hauntings] are complex field effects. Research suggests lower geomagnetic activity correlates with increased psi activity such as telepathy and anomalous dreams. Conversely, magnetically stormy days correlate with violent crime, bereavement hallucinations, (sleep) paralysis episodes, psychokinesis and poltergeist phenomena. This nonlocal field may be enhanced or disrupted by a variety of environmental conditions. Bursts of creativity in all cultural forms flourish in years of highest solar activity. The same covariance was found between hallucinations and magnetic disturbances. In "Geomagnetic Field Effects in Anomalous Dreams and the Akashic Field," Krippner reports a relationship between GMF fluctuations, lunar cycle, and sunspot activity with anomalous dreams, including telepathic, clairvoyant and precognitive content. Other factors, including the holographic mechanism (vacuum wave interference patterns) of the nonlocal zero-point field may also be influential. In psi tests, "hits" and "misses" are statistically significant relative to geomagnetic fields. Visual hallucinations include circles, ellipses and triangles. Persinger conjectures that geomagnetic activity may enhance the receptivity of the brain to extrasensory signals, noting in particular that sudden decreases in geomagnetic activity may decrease the likelihood of certain types of electrical seizures in the brain. Persinger contends that increases in geomagnetic activity tend to lower seizure thresholds and may even precipitate convulsions in epileptics. He suggests that lowered GMF activity might enhance the signal carrying the ESP message, which he has speculated may consist in part of extremely low frequency electromagnetic radiation. Modeling reveals patterns of ESP results by pulsation activity in the 0.2-0.5 Hz band. So we find that the source of much our psychophysical problems may originate outside of ourselves, even though it is hard to tell which vectors cause which problems. With knowledge of such cycles we may learn to protect ourselves better.